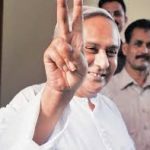 Bhubaneswar: Odisha chief minister Naveen Patnaik opened up his mind about the prime minister Narendra Modi and his government. Patnaik, in an interview to NDTP, said that the Modi government is a threat to democracy. He said the Modi government has failed on three counts: Unemployment, Rural Distress and Economy. 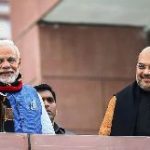 Describing the BJP as his main rival, the Odisha chief minister hinted that his party would extend support to any other dispensation other than a BJP led NDA. He, however, asserted that his party would maintain equ-distance from both BJP and Congress. Patnaik said that no national party would able to muster majority in the present elections. Regional parties like his BJD are going to play a big role in the formation of the government at the Centre. He asserted that he would take a decision about extending support for government at the Centre. However, he clarifed that that his party is not going to join any government at the Centre. On IT raids against opposition in Madhya Pradesh, Karnatka and Tamil Nadhu, the BJD supremo said these were political vendetta. On Rahul Gandhi, Patnaik said, “He has to struggle more”. On Odisha politics, the chief minister said that his party would do very well in the elections. His government’s developmental schemes like Kalia have tremendous impact on the people, he said. Dismissing the impact of Balakote airstrike, the BJD supremo said,” That has fizzled out”. Dwelling on the set back in the Panchyat elections in 2017, Pantaik said that was because of our mistakes. “First of all I didn’t campaigned in the elections. 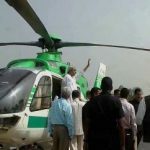 Then party workers thought there is a wave in favour of BJD, he added. 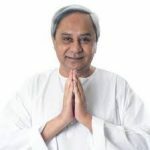 Patnaik asserted that since then the party has been put in place on the right path and it is now strong enough to meet any challenges.